When you think of fruit machines and similar new online slots games, it’s likely that you’re thinking of quite a loud, vibrant and bright experience. Flashing lights, lots of sound effects and hopefully the sound of pound coins water falling out of the machine. 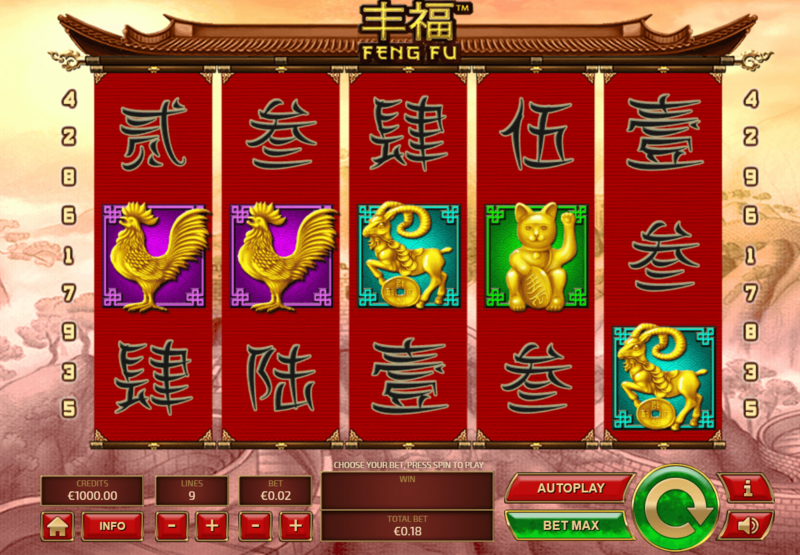 However, Feng Fu, a tranquil latest online slot games, is a much more peaceful affair with an almost meditative gameplay style thanks to its Asian-theme geared around enlightenment and self-discovery. But that’s not to say that finding inner-peace won’t pay you, though. Tom Horn Gaming is the developer of this game and it’s not the only time that they’ve created a slot that’s quite original with its theme and gameplay. Even the seemingly traditionally themed 243 Crystal Fruits has a fun modern twist on it, as this company looking to explore the boundaries of online casino games. As a company, Tom Horn look into to making their games as unique and entertaining as they possibly can, with a clear passion for playing games themselves and that comes across in the online slots that they put out. They’ve got an always growing catalogue of games, too that’s worth looking into. First off, the design of this game is really impressive and effective in bringing that calming nature to the game play. The arch that provides the backdrop is brilliantly detailed, looking handprinted as it would be in real life and providing a fine base for the 5 reels to sit in front of. Further still, the ab-sence of loud and fast-paced music makes for a very relaxing mature game, rather than the more silly, exuberant games that you find out there in the online slot world. In the West, the number 13 is deemed to unlucky but over in China it is quite the opposite. 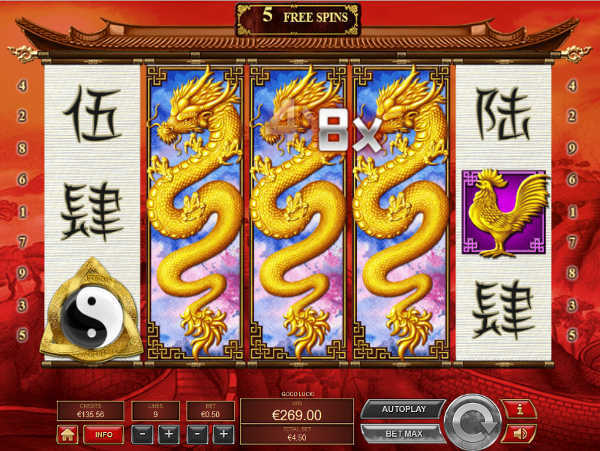 The number is considered to be lucky in Chinese culture and as such, the number plays a key role in this game. Every one of the tiles will give a minimum of x5 credits or even more, but it’s the top tier that brings the most joy with the golden kio giving a multiplier of up to 200 times your bet. Yet, despite how impressive that sounds, it’s not even the highest paying symbol. That would be the wild in this game, which, should you land 5 of them, will give you a multiplier of 1000 times your bet. Suddenly this calming game has become quite exciting.